SPECIAL PERFORMANCES FOR BUSINESS/CORPORATE EVENTS, FESTIVALS, DISTINGUISHED GUESTS ETC. 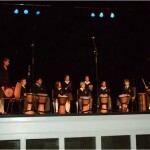 Thomas has played in front of large numbers of attendants at festivals and prestigious events throughout the world…African Drumming has NO boundaries…you can have a performance with school children in a park or as part of a large scale indoor event for the United Nations! If you have an event approaching and would like to offer up something more culturally rich, more uplifting and something that raises an eyebrow with pleasant surprise then why not contact Releasing Rhythms?! Thomas and Siobhan can organise an unforgetable performance that will make your event one worth remembering! 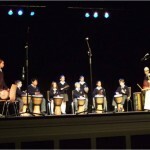 Who knows…maybe you’d like to then organise a Team Building Drum Circle after being awe-inspired! 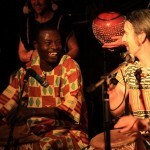 Whatever the festival – be it cultural or music, the beat of the African Drum will draw attention and crowd spirits! Thomas Annang has performed alongside other musicians in the Akrowa Dance Ensemble across the world in front of some of the most highly respected figures from the Canadian, Brazilian and Danish Embassies to the American Consulate and the UN. 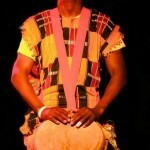 He has also performed in some fantastic establishments such as the National Theatre of Accra.